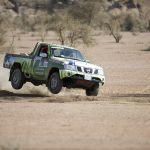 Letshego Zulu, the widow of motorsport legend, Gugu Zulu, who passed away in July 2016 while climbing Mount Kilimanjaro, will get a taste of cross country racing when she sits next to Terence Marsh in the Red-Lined Motorsport Nissan Navara at the Gold 400, the sixth and final round of the South African Cross Country Series (SACCS) that takes place on 2 and 3 November at Glenharvie on the West Rand. 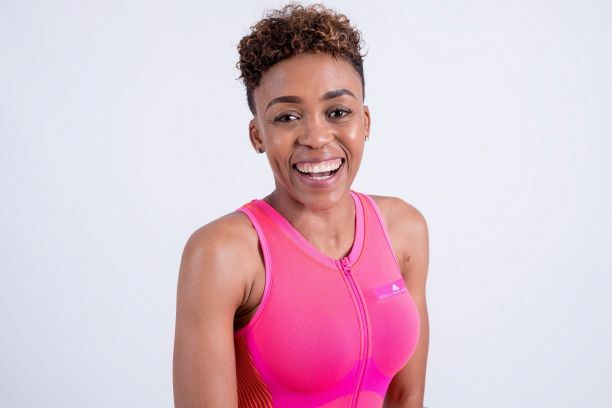 Letshego, a former reality TV star, is a biokineticist by profession and an adventurer who has participated in various adventure events like the Absa Cape Epic, the Two Oceans Ultra Marathon, the Cape Argus Cycle Tour and the 94.7 Cycle Challenge as well as the 70.3 Triathlon. She is also the co-founder of the health and fitness movement, PopUpGym and an avid motorsport enthusiast. Last year, a year after the tragic death of her husband, she returned to Tanzania and summited the mountain in honour of Zulu. As a self-proclaimed adventurer, she also participated in Survivor SA in the Maldives in 2011. 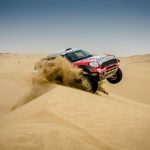 Letshego will be the third celebrity and the first lady next to Marsh in the FIA Class this season. 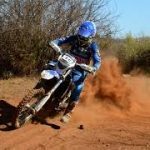 The Dakar Rally motorcycle heroes, Joey Evans from South Africa and the UK motorcycle adventurer and competitor, Lyndon Poskitt, enjoyed the racing experience at Bronkhorstspruit and Harrismith respectively. The Gold 400 will start and finish at the Kloof Recreation Club at Glenharvie in Westonaria and will consist of a 40 km Qualifying Race on Friday, 2 November that will determine the starting order for the main race on Saturday, 3 November. 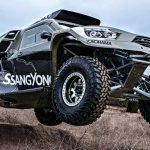 For Saturday’s race, Letshego and Marsh will have to be prepared to tackle a total of approximately 340 kilometres of fast and tough off-road racing conditions. The Gold 400 is always an enjoyable event, but everything is still at stake as most of the championship titles are still up for grabs. 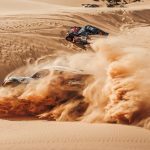 For Marsh, the CEO of Red-Lined Motorsport and the driver of the Nissan Navara, fighting for the title is not what it is all about as Red-Lined Motorsport focuses on the excitement of the motorsport adventure, the manufacturing of race vehicles, dune training for the Dakar Rally as well as participating in international events and facilitating corporate entertainment. 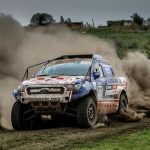 He finds himself in fourth place in the FIA Class Driver’s Championship in the Production Vehicle category and finishing the Gold 400 successfully with Zulu and scoring more points, will be a great way to finish off the 2018 SACCS season. The Qualifying Race of the Gold 400 starts at 14:00 on Friday at the Kloof Recreation Club while the leading team will tackle the main race on Saturday, 3 November at 08:00. The Gold 400 will produce exciting racing entertainment for spectators while the teams, their crews, supporters and sponsors will do everything in their power to finish the race in the highest position possible so as to claim titles and the best place on the scoreboard to round off the 2018 season.